American Airlines gave employees across the board raises without insisting that the pay changes be part of a contract. The airline says that’s made it harder to get mechanics to agree to a contract. American mechanics have already gotten much of the money they’re going to get with a new contract, so there’s less incentive for employees to agree to rules changes the airline wants. The carrier is offering terms they say are more costly than what United and Delta have with their mechanics, so a common refrain from management has been that they would happily sign either the United or Delta deal today. does want to outsource more maintenance work going forward. Even if it won’t wind up costing any current union members jobs or hours, unions are loathe to agree to it out of fear it reduces their leverage in the future. Over at over at employee forums and town halls, maintenance workers express their frustrations. They have felt the airline hasn’t “negotiated in good faith” by slow walking contract negotiations. 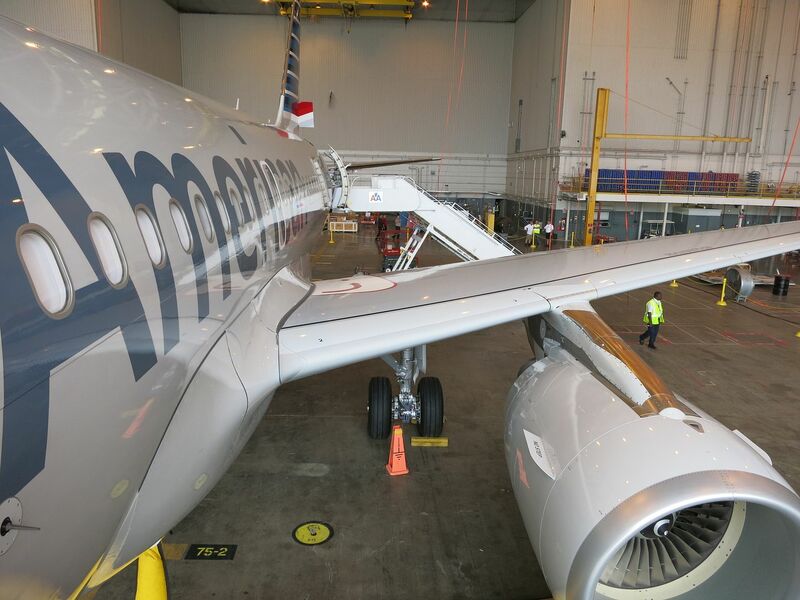 Anecdotally there are reports that some of American’s recent operational challenges stem from maintenance slow-walking addressing of issues with aircraft. I don’t have a dog in this fight. I do not know what the right level of compensation is for American Airlines mechanics. While not entirely at the feet of maintenance workers themselves, there’s no question that Delta’s Techops vastly outperforms American’s. I’m not sure American employees ought to make more than counterparts at Delta. And I don’t worry about outsourcing. Airline travel is safer than ever across the world. In fact in one ranking there’s only a single US carrier among the world’s 15 safest. The safest airlines around the world have their maintenance done throughout the world. Less expensive maintenance means it’s easier to buy more of it. As a passenger, though, I want a smooth running operation. I want maintenance workers doing their jobs quickly and efficiently and most of all safely. American says they love unions, but their unions don’t seem to love them. Now the carrier has asked for a federal mediator to get involved and wrap up a contract with mechanics. Mediation isn’t always a bad step. Today the Communications Workers of America announced that they reached a tentative agreement with American’s wholly owned regional subsidiary Piedmont Airlines for a new passenger service agent contract, achieved through mediation. My sense is that American management has been a bit too cavalier with their maintenance workers, telling them over and over that they’re getting a great deal and that they’re just not able to realize it. That strategy hasn’t worked. Hopefully this one will — rather than ultimately progressing to even later stages of collective bargaining negotiation tactics. Unions have outlived their usefulness. Minimum wage laws and OSHA standards have taken care of their original purpose. Now they are simply legalized extortion, using threats, violence, intimidation, etc. to demand above market wages. This results in lower productivity and higher costs for everyone else. They make America industry less competitive, which in the long run will just kill off the unions, just like unions killed off the american automotive industry. Companies should be free to hire and fire, and just as individuals are free accept an offer, demand more money, or go find a new job. My dog in this fight is the ticket prices/fee increases AA will need to cover the additional costs of what appears to be an overly generous contract. (Other than lowering benefit costs for a small group of employees, any offsetting improvements in productivity or labor cost savings are omitted from AA’s summary of negotiations.) To the extent that it cannot raise prices, then there will be service and product cutbacks and even more seats jammed into planes that will make the passenger experience even more miserable. . Pure and utter stupidity on the part of AA management to give those raises outside of a contract negotiation. Obviously a difficult situation for management. Since their arguments seem more logical than those of the union, I suspect their thinking is a mediator will help convince the union to be more reasonable. This type of issue is extremely common in the airline industry, and demonstrates (yet again) why big industrial unions are more harmful than helpful to both companies and their workers. But Doug Parker can’t change the Railway Labor Act and won’t try. So while some of your readers will undoubtedly hate on Parker because that’s what they like to do, his strategy seems sound. WR your incorrect… OSHA and DOL and National Labor Relations Board wants nothing to do with it. Remember UNIONS gor 40 hour work week, living wages, ended child labor laws, etc… YOU who ever you are are recieving union benefits because we the unions fought for you as well as us. Go take a history lesson before you blast unions. Have you read the book the Jungle by Upton Sinclair? I suggest you gather more education/information and why we have unions. God help you. The real issue here is how could AA’s Board of Directors allow such a bad mix of arrogance and stupidity by its executive management to give away the store before securing work rule changes? Is their no such requirement for an airline Board to provide effective stewardship and oversight to ensure acceptable accountability of its leadership team? We witness in parallel the utter failure of Amtrak’s conflicted Board to provide effective stewardship; to oversight management to ensure accountability. In the past, Amtrak’s Board tolerated a lay down labor policy that never really negotiated work rule changes in order to keep the peace with the unions. That explains the consist of trains and why some are over-crowded during rush hours (e.g., “Hiawathas” Chicago-Milwaukee), as to add another coach would trigger another Assistant Conductor per union work rules. Another good reason to separate the role of Chairman and CEO to prevent one person from dominating decision-making, although at Amtrak the positions are separated to no avail. 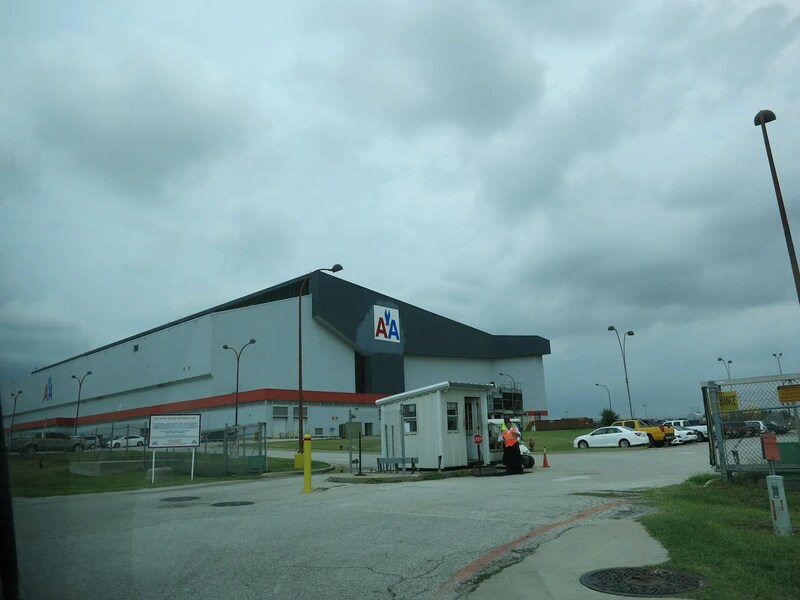 I wonder if the unions have observed the questionable decisions made by AA management since the takeover and how management will affect the union members’ future. I believe the bitterness of the 2003 pay and benefit cuts still lingers over the rank and file. The greed of the public, as they don’t know what it takes the training and what each of the mechanics responsibilities are; the ticket prices are dirt cheap in comparison of decades ago! Anyone comes on here to dispute a fair an equitable contract is allegedly a prop up from those who do not want it to happen. I see that this article failed to mention the huge, HUGE profit sharing amount that the employees received from Delta, and AAL gives there employees a FLAT OUT ZERO! Your comments on aircraft safety on one hand and outsourcing maintenance to third world countries because it’s cheaper contradict each other. U.S. airlines that perform there own maintenance do so with mostly union labor. These technicians (also the non-union technicians) read and write english, which the maintenance manuals are written in. Quite a few were trained in the military. Almost all are FAA certificated. The average age of these technicians is around 50 and the years of experience are similar. Go down to some non U.S. overhaul facilities. English is not the common language, the maintenance manuals are still in english. The ratio of trained and licensed mechanics is upward of 50:1. (could you supervise 50 technician?) I know of other mechanics that have taken these jobs as one of the few licensed mechanics, the pay is good but the pressure to complete the work on time is tough. The local workforce is standing in line to get these jobs but if they are unable to perform as required they are easily replaced. Does this sound like a place that you want to trust your life to at 30,000 ft?